“Everybody likes to be praised, but when praise is specific, it comes across as sincere- not something the other person may be saying just to make one feel good” – Dale Carnegie. A catalyst is used in chemistry and it can be defined as a substance that increases the rate of a chemical reaction without being consumed in the process. 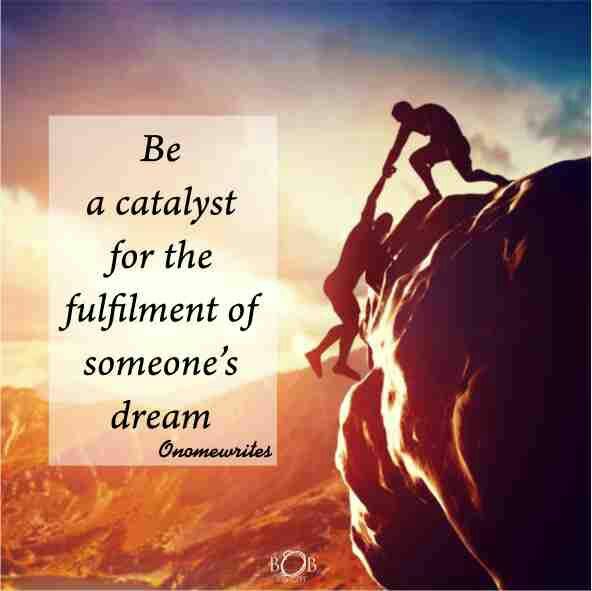 A catalyst is so essential in any chemical reaction and so is a catalyst important in the life of every human being as it brings about a change. The story was said of a young boy many years ago at the age of ten he was working in a factory. He longed to be a singer but his first teacher discouraged him. ‘You can’t sing’. He said. ‘You haven’t any voice at all. It sounds like the wind in the shutters’. But his mother a poor peasant woman put her arms about him and praised him and she told him she knew he could sing, she could already see an improvement, and she went barefoot in order to save money to pay for his music lessons. That peasant mother’s praise and encouragement changed that boy’s life. His name was Enrico Caruso, and he became the greatest and most famous opera singer of his age. This boy’s mother was a catalyst to him becoming a success story. A lot of great men and women can trace their success story back to a man or woman who has spoken a word of encouragement to their lives and it has spurred them to work towards the actualization of their dreams. Imagine if Enrico’s mum had also told him he can’t sing he might end up not pursuing his dreams. A lot of dreams have been shattered today because they were discouraged along the line why not be a catalyst to someone’s dream? Encourage your friends stop tearing them apart. 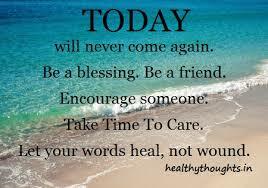 Words have a great impact to those being said it to so why not use your words to lift up someone. “Tell your child, your spouse, or your employee that he or she is stupid or dumb at a certain thing, has no gift for it, and is doing it all wrong, and you have destroyed almost incentive to try to improve” – Dale Carnegie. A lot of us are so guilty of this when people make a mistake the next thing we do is to shout at them and make them look so stupid while some of us are so good at finding faults we never see the good in others. I know people need to be corrected I’m not asking you to flatter but you could make their fault easy to correct. Celebrate every little improvement you see in people if you want them to grow then appreciate their efforts. Don’t just find faults in people appreciate the good things about them. 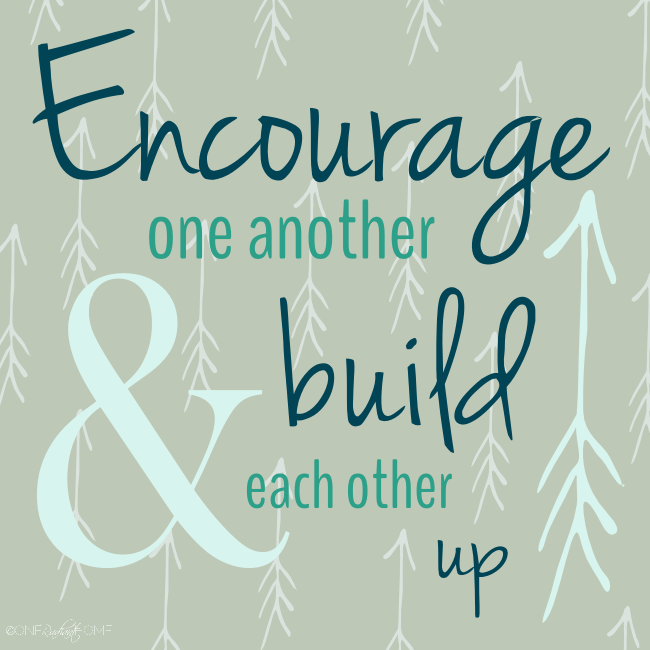 Be a part of someone’s success story, encourage them, and invest in people. 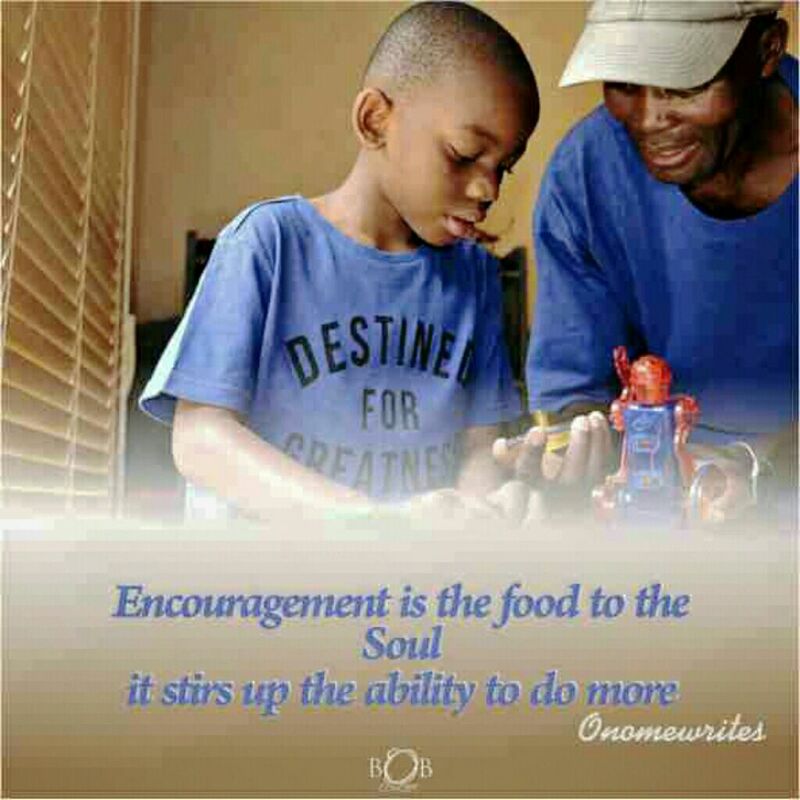 Encouragement is a food for the soul and it stirs people up to do more. 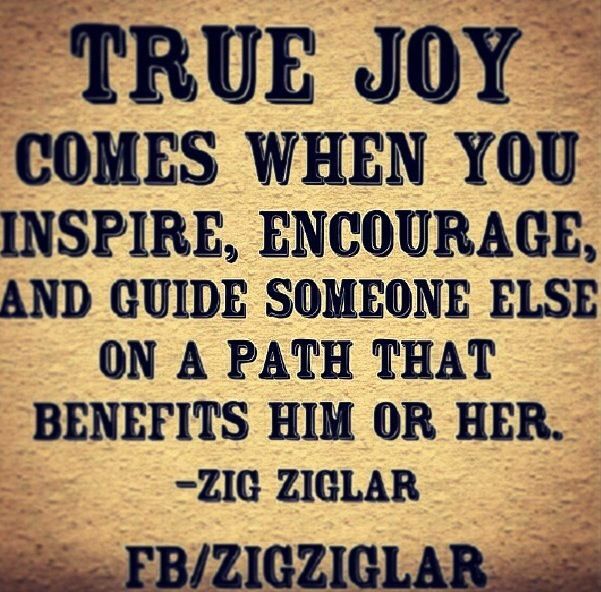 Don’t stop encouraging souls and as you are doing that you are creating a path for your own success. Previous Post HANDLING A CRUSH.